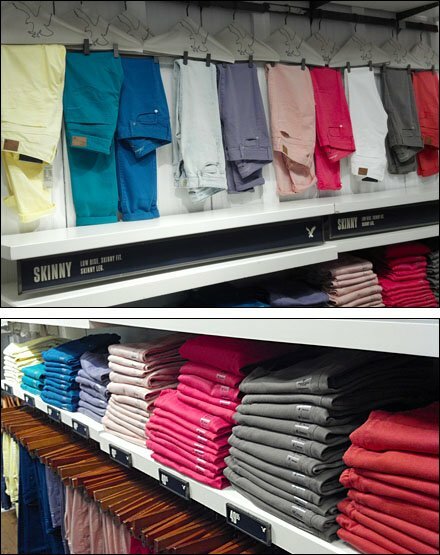 I like arrays of merchandise sold with color … but sorry, not so much these pants. Is it the colors offered? Is it the arrangement of colors? 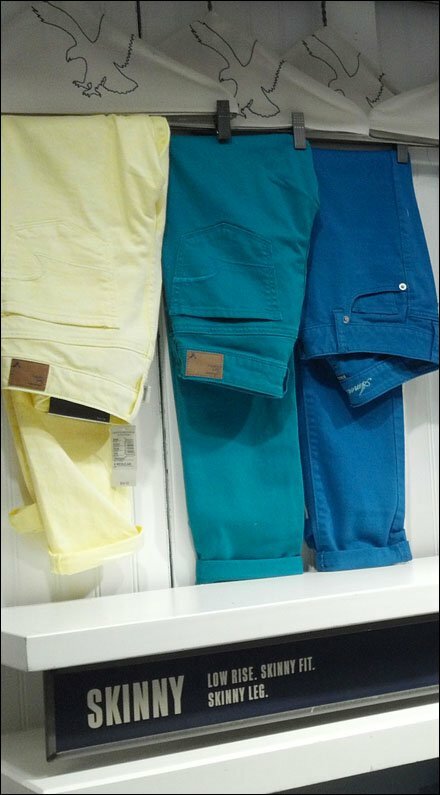 Could it be the informal close-pinning of the pants? Something jars my senses, but I know not what. Or maybe I’m just in a grouchy mood today. My apologies to the Visual Merchandiser, that I am so moody today. CLICK the thumbnail for a closer look.